Immediately: Increase mould and barrel temperature, increase injection pressure, install air discharging groove on parting surface (depth 0.02~0.04mm, width 5~10mm). Short-term: Expand the gate, increase the flow boundary. 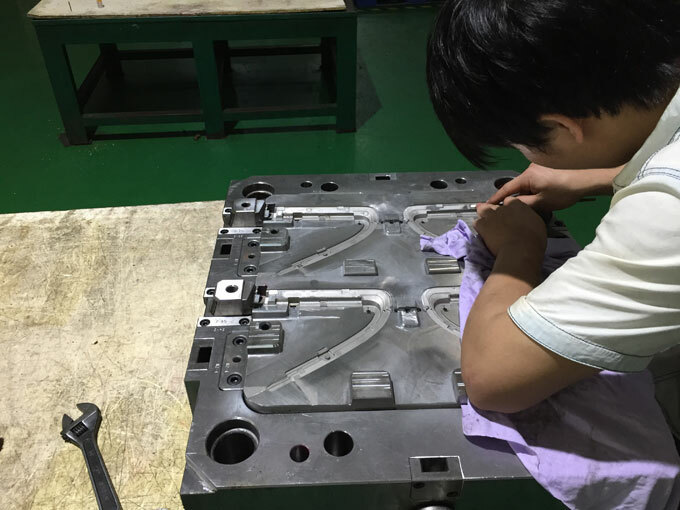 Under high output per mould occasions, expand the mould cavity gate of moulding defect, as well as change the configuration of the flow boundary, install gas evolution pin, improve mould smooth finish. 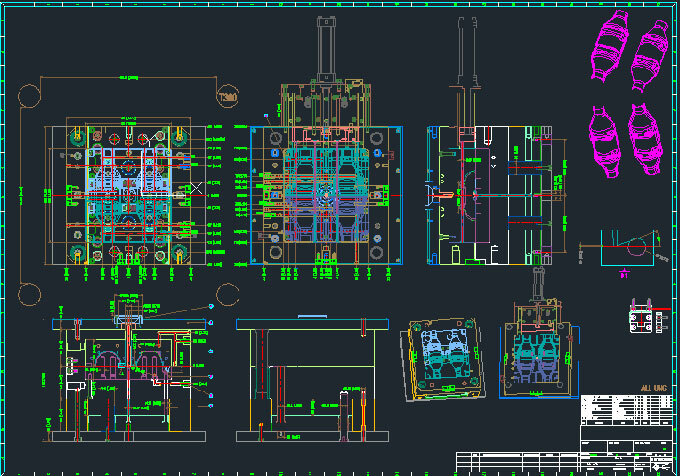 Long-term: Avoid different designs of plastic parts thickness, install additional gates for thicker plastic parts, understand the using occasion of plastic parts, if appropriate, make sure to use material with good flow ability. 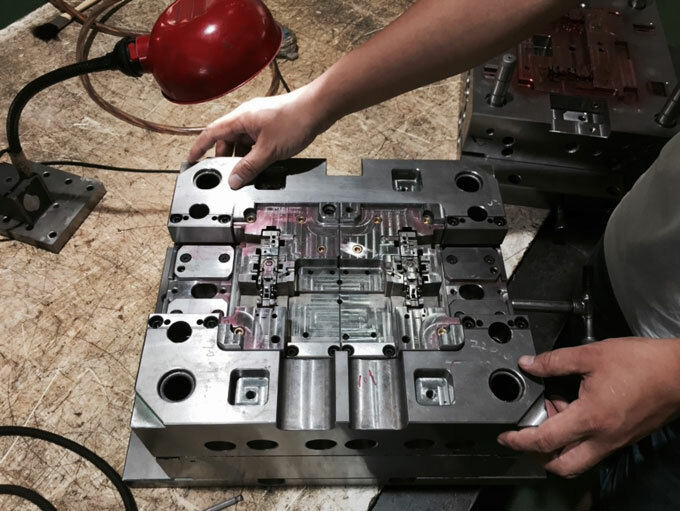 If the mould temperature is not high, and is using low flow ability material such as PC, PPO or PETP, the mould temperature must be increased to over 80 degrees (using a mould temperature conditioner). So called material flow ability, generally refers to the material quantity flow in the injection hole measured at certain temperature and pressure within a certain period of time. Flow property indicates has a melt index of the material. For example: polystyrene melt index is 2160±10 degree of load under 190 degrees and 10 minutes out of the flow through the orifice of weight. 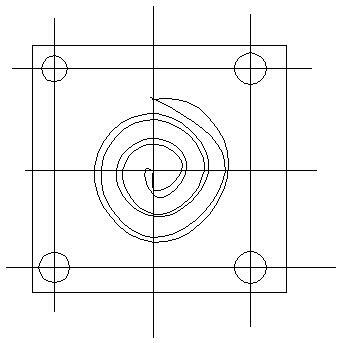 As the measurement method of resin flow ability, using spiral flow (vortex) mould can measure the length of the results of the resin filled. 1) Injection dwell time is not related to filling length, but too short will cause insufficient filling (moulding defect). 2) Not related to the retention time on the charging barrel. 3) If the injection speed is too slow, the filling will become insufficient. However, it has little effect above a certain speed. 4) The mould temperature is better to be higher, the impact will be smaller. 5) If there is a slight surplus of screw plasticizing stroke, then stuffing length becomes longer. 6) Injection pressure and filled length is substantially linear relationship. 7) In the appropriate field of moulding material temperature, the temperature of the stuffing length is substantially the same linear scale. 8) The thickness of the cavity with stuffing length substantially linearly proportional. Filling maximum length (L) and cavity thickness (T) specific value L/T is the moulding material flow ability criteria.